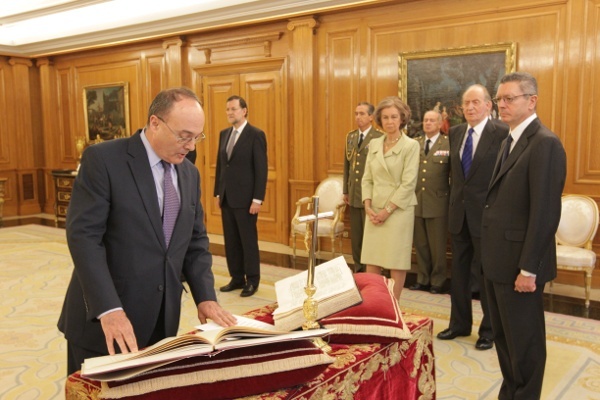 Today King Juan Carlos presided over the swearing-in of new Bank of Spain governor Luis María Linde de Castro. 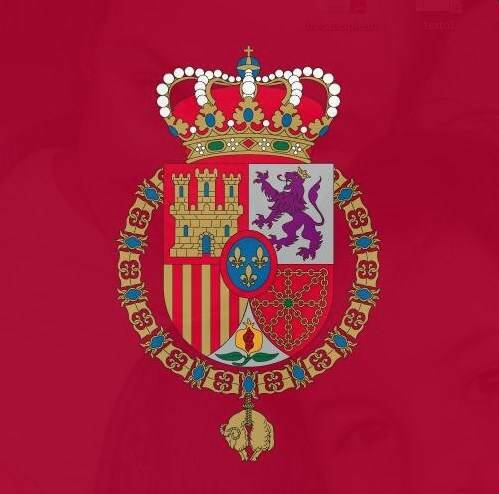 The ceremony at Zarzuela Palace comes amid a planned European capital injection into the troubled Spanish banking system. Luis María Linde de Castro swore allegiance to the King while touching a copy of the Constitution and the Bible. A crucifix was also present according to custom. The Bible, property of Charles IV, was open to the Book of Numbers. The Constitution was open to the section on the economy. Posted on June 11, 2012 by talkingwithamericansPosted in UncategorizedTagged Bailout, Bank of Spain, Economy, Spain.